Alessandro Lovato receives 2013 Adelchi Fabrocini Award. Originally posted at the Argonne Leadership Computing Facility’s Website. 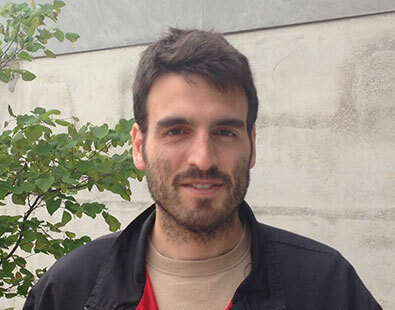 Alessandro Lovato, postdoctoral fellow at the Argonne Leadership Computing Facility (ALCF), has won the 2013 Adelchi Fabrocini Award, recognizing the best doctoral thesis in nuclear physics. Lovato received the award for his thesis, “Ab initio calculations on nuclear matter properties including the effects of three-nucleons interaction.” The award will be presented at a June 1 ceremony in Otranto, Italy. At the ALCF, Lovato is a postdoctoral researcher working with Argonne senior physicist Steven Pieper on the Early Science Program project, Ab-initio Reaction Calculations for Carbon-12. For this project, the researchers are using Green’s function Monte Carlo to study the Carbon-12 nucleus. For details on Lovato’s award-winning thesis, see the abstract below. “In this thesis, the ground state properties of nuclear matter, namely the energy per particle and the response to weak probes, are computed, studying the effects of three nucleon interactions. Both the variational approach, based on the formalism of correlated basis function, and the auxiliary field diffusion Monte Carlo method have been used. A scheme suitable to construct a density-dependent two-nucleon potential in correlated basis approach is discussed. The density dependent potential resulting from UIX three-nucleon force has been employed in auxiliary field diffusion Monte Carlo calculations that turned out to be in very good agreement with correlated basis variational results. Hence, the underbinding of symmetric nuclear matter has to be ascribed to deficiencies of the UIX potential. A comparative analysis of the equations of state of both pure neutron matter and symmetric nuclear matter obtained using a new generation of “chiral inspired” local three-body potentials has been performed. The Argonne Leadership Computing Facility (ALCF) is one of two leadership computing facilities supported by the U.S. Department of Energy (DOE). The ALCF provides the computational science community with a world-class computing capability dedicated to breakthrough science and engineering. It began operation in 2006 with its team providing expertise and assistance to support user projects to achieve top performance of applications and to maximize benefits from the use of ALCF resources. Visit the ALCF’s Website for more information. This entry was posted in Postdoc Awards and tagged Adelchi Fabrocini Award, ALCF, Allessandro Lovato. Bookmark the permalink.